“Stand on the painted black foot. You are being weighed”. 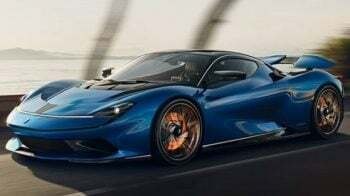 The dapper counterman at the Boulder City airstrip (around 42 km from Las Vegas) was rushing instructions and eyeing the weighing scale in one short breath. I, my bag, my camera, fat lenses, my olive green dungaree, an enormous silver pendant, heavy burgundy moccasins, my long hair… Every ounce was being measured by the invisible machine as the brown mountains, blue sky and vermillion red helicopters waited outside the thick glass doors of Papillon Tours, the world’s largest aerial sightseeing company for a chopper ride over the Grand Canyon. While the weighing scale whirred and tipped, I was running facts in my head. 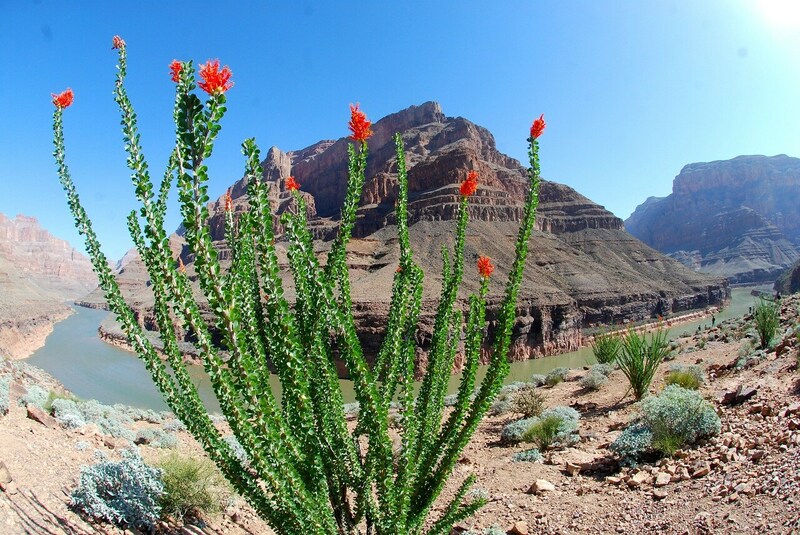 About Grand Canyon, one of the seven natural wonders of the world. A 446-km long stone wonder with 2-billion-year-old schist, its upper rim clocking 230 million years on the calendar, its mystery eternal. All this carved by relentless wind, occasional rain and the scratch of the meandering 1,450-mile (around 2,333 km) long Colorado river. “It is a 45-minute air-only ride. No champagnes in the heart of the Canyon. No picnic basket either. Buckle tight, put the headphones on… And there’s a barf bag. 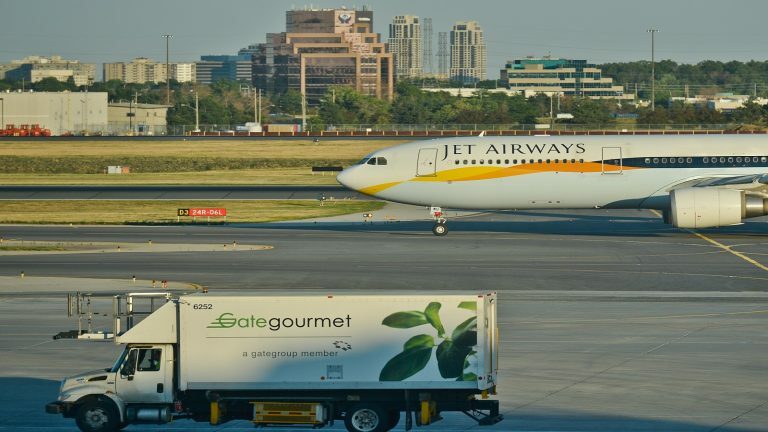 Do not feel ashamed if you have to use it…” Pilot Chris Palmer interrupted my fact-moments. Then, the weigh-reason was revealed. The human/equipment weight has to be distributed evenly. Not sure whether it was the petite me or the not-so-fat me but I got a window seat. The best peep-out spot in the red 6-seater Airbus H130, three-rotor blade helicopter. Barf, I knew I wouldn’t. Who barfs on a magnificent 2-billion-year-old canyon? I wouldn’t. Not when I was flying over Hoover Dam, Lake Mead and nearly 200 miles of Canyon while Pharrell Williams’ Happy piped in the headphone. The 45-minute ride began with a din as Palmer hit 100 knots just feet off the ground. And then, the magic began. Endless stretches of brownstone with jagged edges and distinct layers, patches borrowing the burnished orange of iron deposits, hints of green of shrubs, vascular plants and moss, lakes and streets like a hasty scribble on brown board. 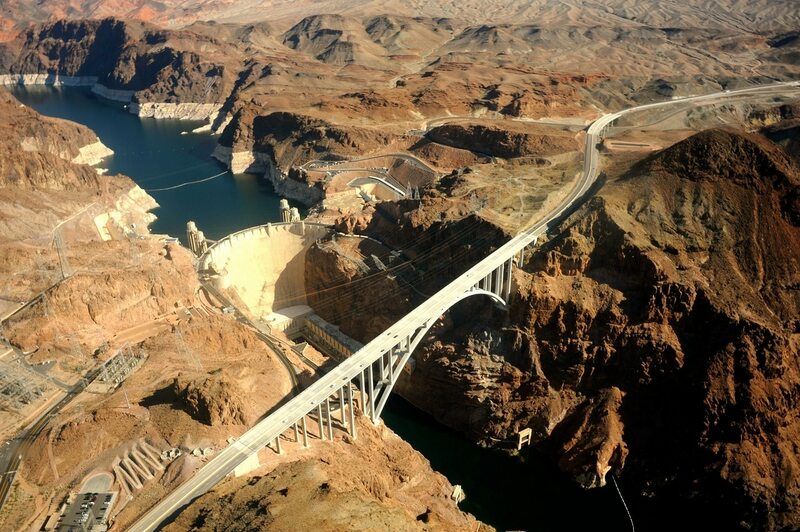 “On your right, there’s Hoover Dam, the world’s tallest dam when it was built in the 1930s. The amount of concrete used in this dam would be enough to build 3,000 miles of road - a full-sized highway from one end of the US to the other,” Palmer was veering the chopper for the best view and spewing information from geography books. “Look. 3 on the clock from where I am. This is the Supai Village within the Havasupai Indian Reservation with a population of 208. Yes, only 208. Absolutely inaccessible, it is the most remote community in the lower 48 states, and is the only place where mail is still delivered by pack mule,” Palmer added as I peered hard to find a Havasupai tribal hurrying up the edges. I did not see one. Not even a coyote or a Bighorn Sheep. But the brown of the landscape, the might of the mountains and the splendour of the canyon crammed into my iris. Nearly 2,000 ft in the sky, facts about Grand Canyon were redundant. All that mattered was its magnificence. And the artistry of a persistent river and stubborn yesterdays. 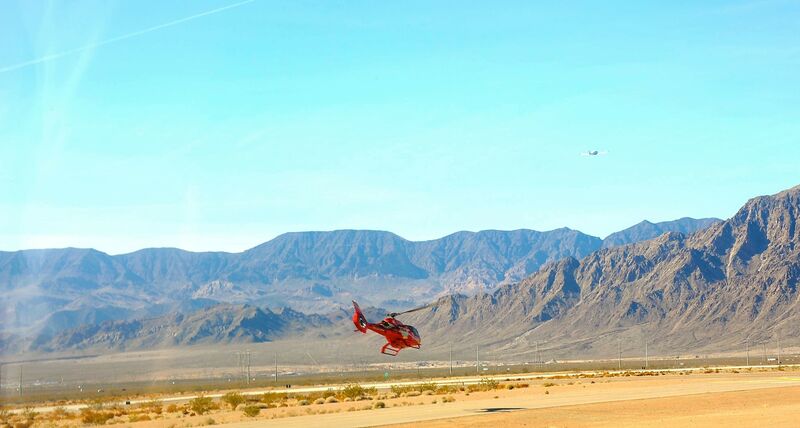 Good to know: Papillon helicopter tours offers several package options, with price starting at $294 per person which includes hotel pick/drop off. 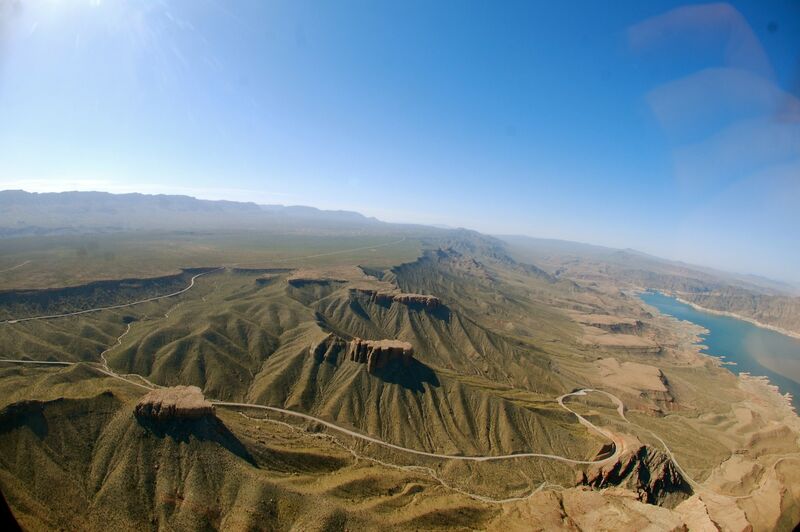 Papillon Helicopter Tours is the world’s largest aerial sightseeing company for a chopper ride over the Grand Canyon. The Grand Canyon is considered one of the seven natural wonders of the world. A view of Hoover Dam: The world’s tallest dam when it was built in the 1930s. The amount of concrete used in this dam would be enough to build 3,000 miles (around 4828.032 km) of road. 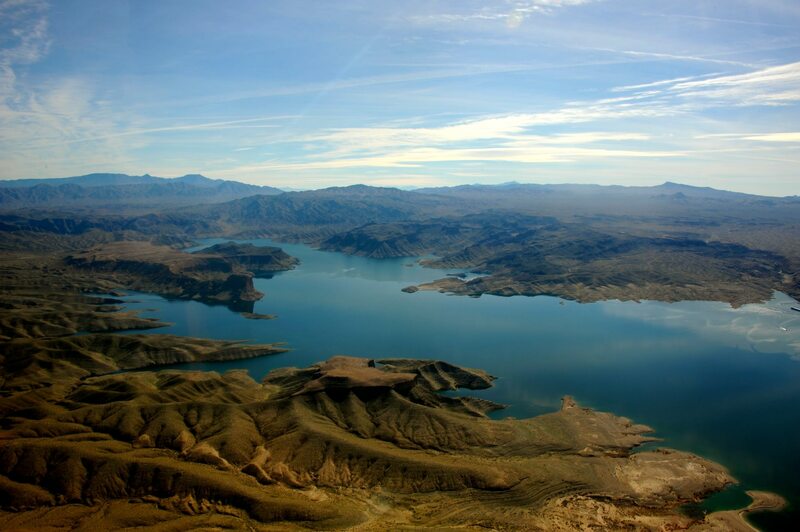 Lake Mead: It is a lake on the Colorado River. It is the largest reservoir in the US in terms of water capacity. 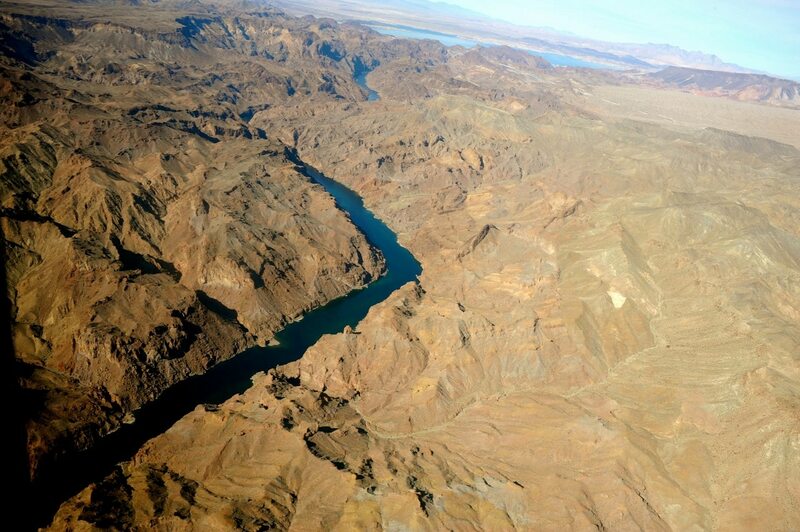 A view of Colorado River from the chopper that cuts through the Grand Canyon. As part of the Papillon Tour, one can also have breakfast in the heart of the Canyon basin. 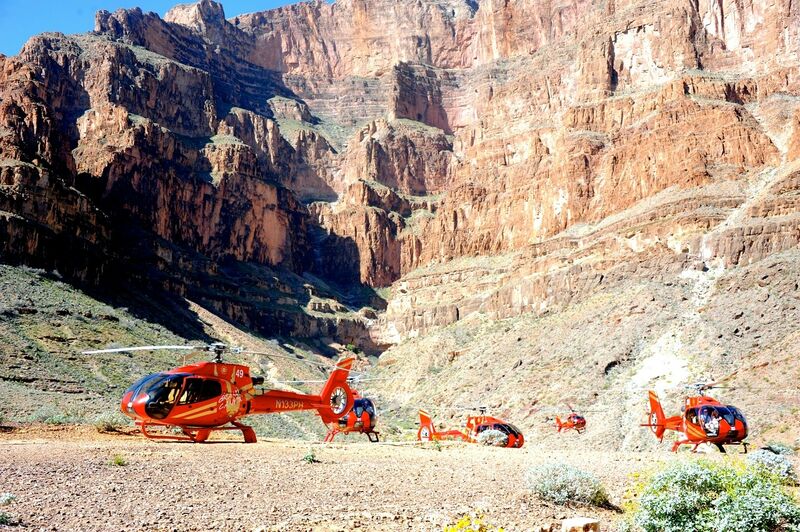 A Grand Canyon chopper ride is a must-do on a Las Vegas visit.